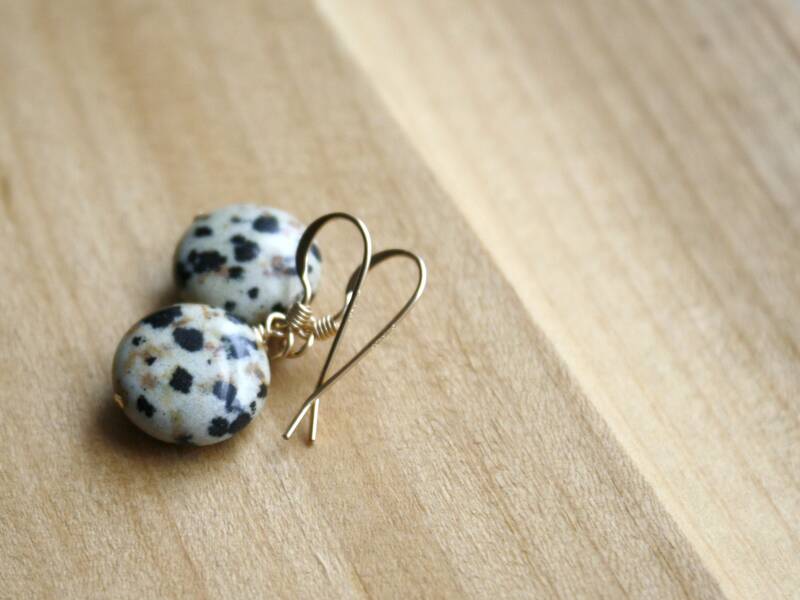 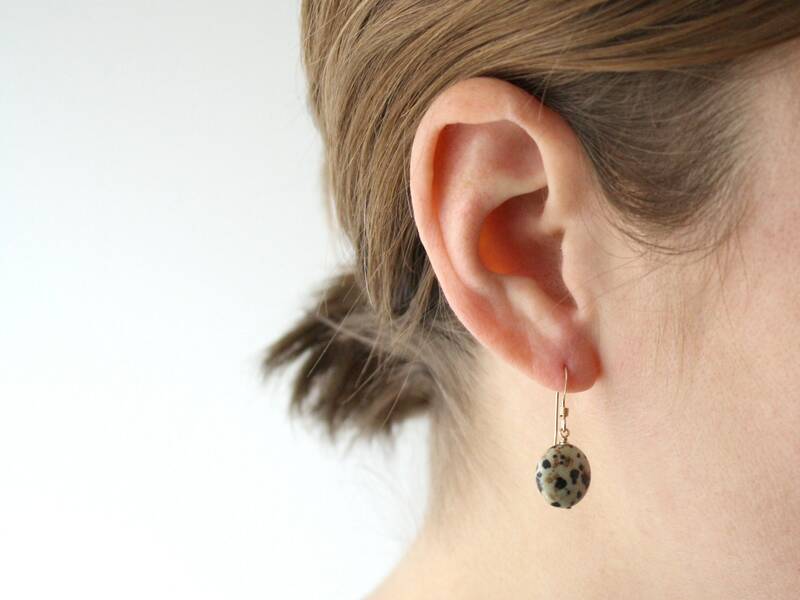 These natural stone earrings feature natural 12mm Dalmatian Jasper puff coins wire wrapped in 14k Gold fill. 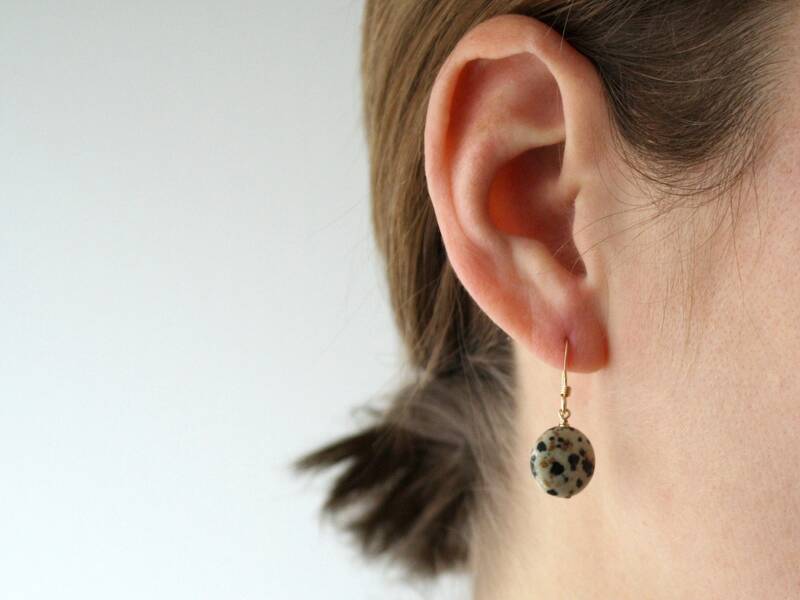 They measure about 1 1/8 inch from the bottom of the stone to the top of their 14k Gold Fill french style ear wires. 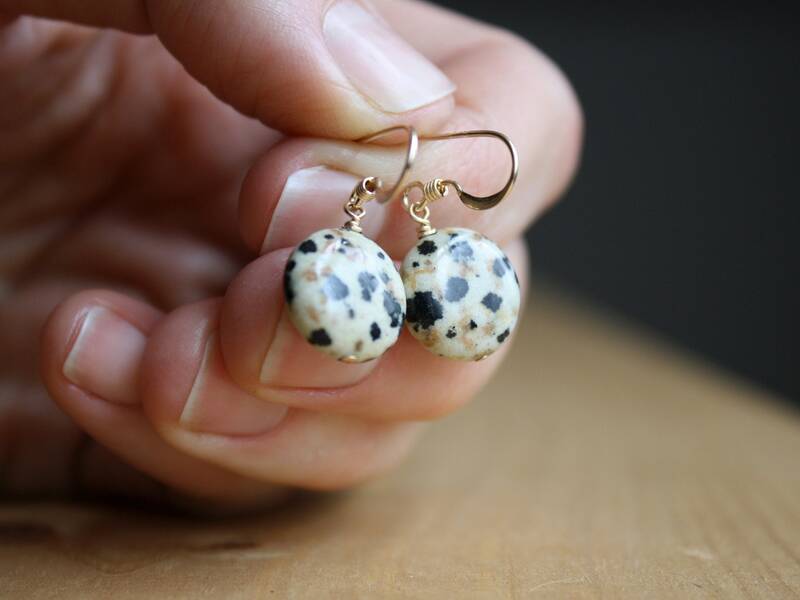 NOTE: Dalmatian Jasper has natural spotting making each pair slightly unique. 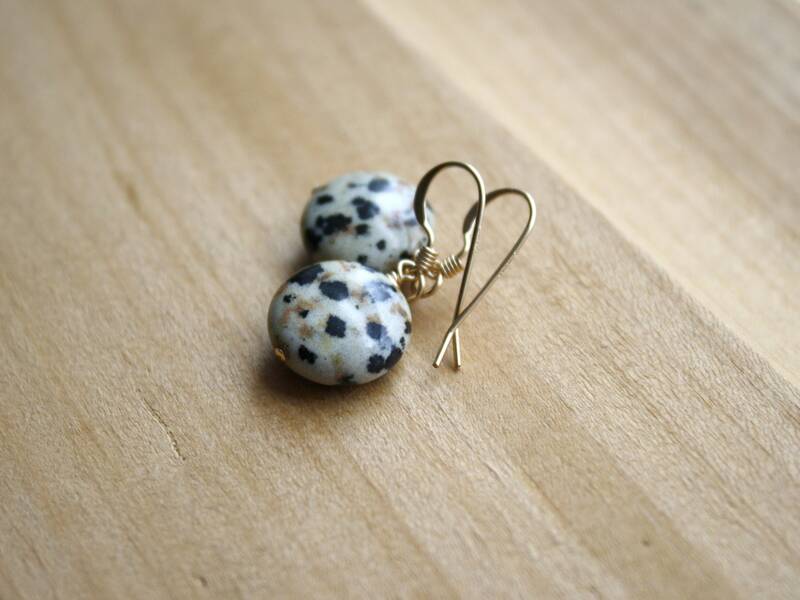 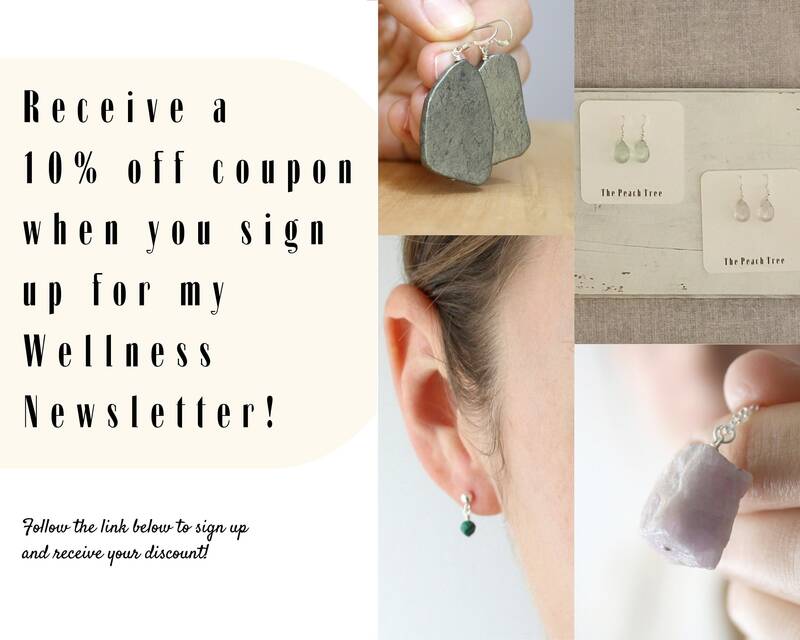 Stone Properties: Jasper is the nurturing stone. 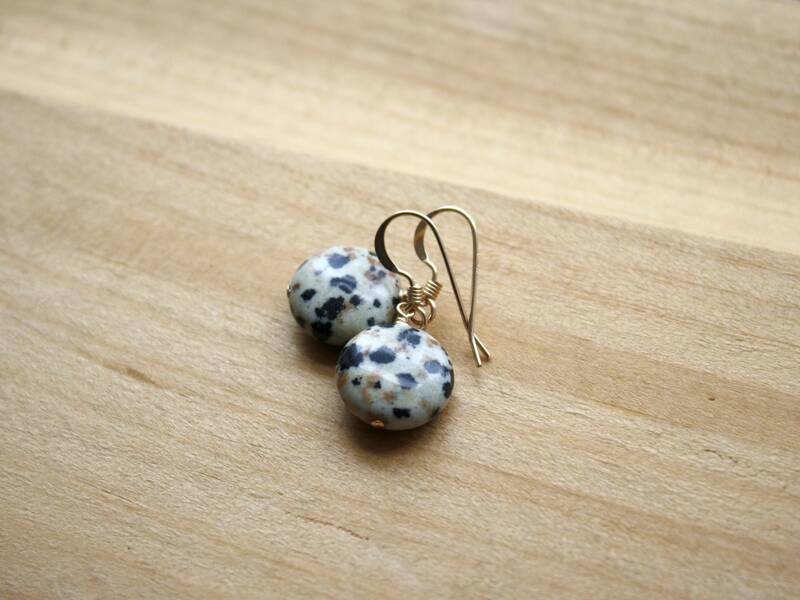 With its grounding capabilities, it promotes strength and comfort. 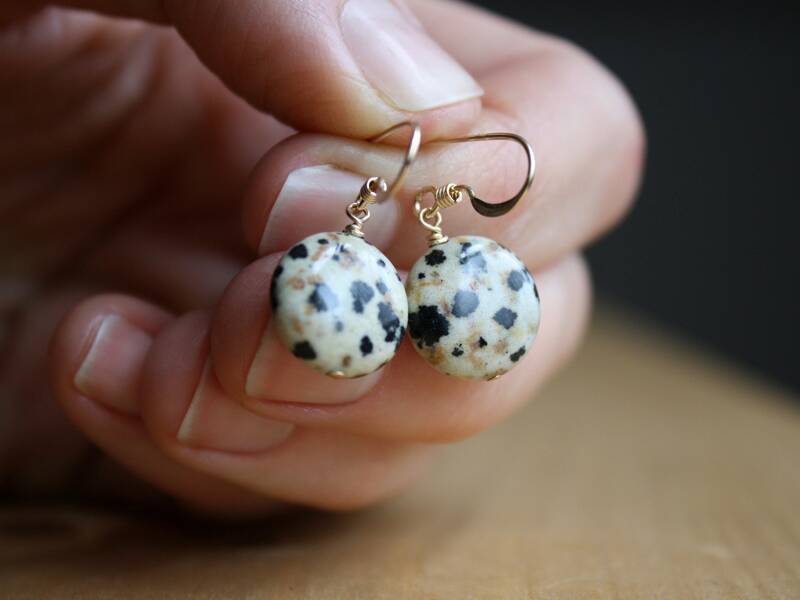 The black spotting within Dalmatian Jasper is Black Tourmaline.